On this episode of Prime Time, hosts Brent Young and Ben Turley stroll over to St. Anselm, Williamsburg’s favorite neighborhood steakhouse. The guys are at St. Anselm to talk about their massive bone-in tomahawk (or rib-eye) and how to cook a steak that big. Did I miss the part where they say “why the bone-in tomahawk is the best cut of steak?” They said THAT, but they didn’t say WHY. Did I miss it? They never answered the question. steak looks fantastic and you drink crap beer with it? Is it wrong to get a hard on when you see steak? Steak doesn’t look as good without the bone in. RE: The bones..can’t obviously do it in a restaurant if served to customer, but … omg if I could save that for a stock or if meat left, next day warm up with some BBQ sauce as a ribeye bbq rib..love. A place I used to frequent did Prime Rib on Saturday and the bones as BBQ Ribs for Sunday football. Great cooking, love the vid and the purveyors. love the restaurant, love the steak, love the cooking method, love the final product. but you didn’t explain your title. WHY IS THE BONE IN TOMAHAWK THE BEST CUT? WTF they had to put fuking butter? Why not cheese too to ruin a good steak, and wash down with pisswater? Fuking construction worker!! I love how well tiny Biff Tannen and a tall Earl Hickey work together. Never had a porterhouse and ribeye back to back to compare. I think I should. I have thought about subscribing for awhile. You drink PBR! I’m in. Steak TENDERIZING EXPERIMENT - What's the best way to TENDERIZE steaks? 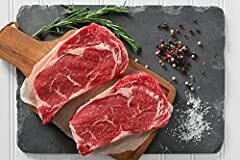 Best methods to TENDERIZE STEAK tested! Papaya, Kiwi, Baking Powder, Onion & Honey! New Steak and Shake Prime Steak Burger and Smore's Milkshake Review!! TRYING KRISPY KREME DONUTS! – Eating Doughnuts, Pumpkin Pie, & MORE Dessert Taste Test Review!